I've noticed that I have kind of been in a picture taking slump lately. I think the freezing weather that we have been having leaves me uninspired to pick up my camera. 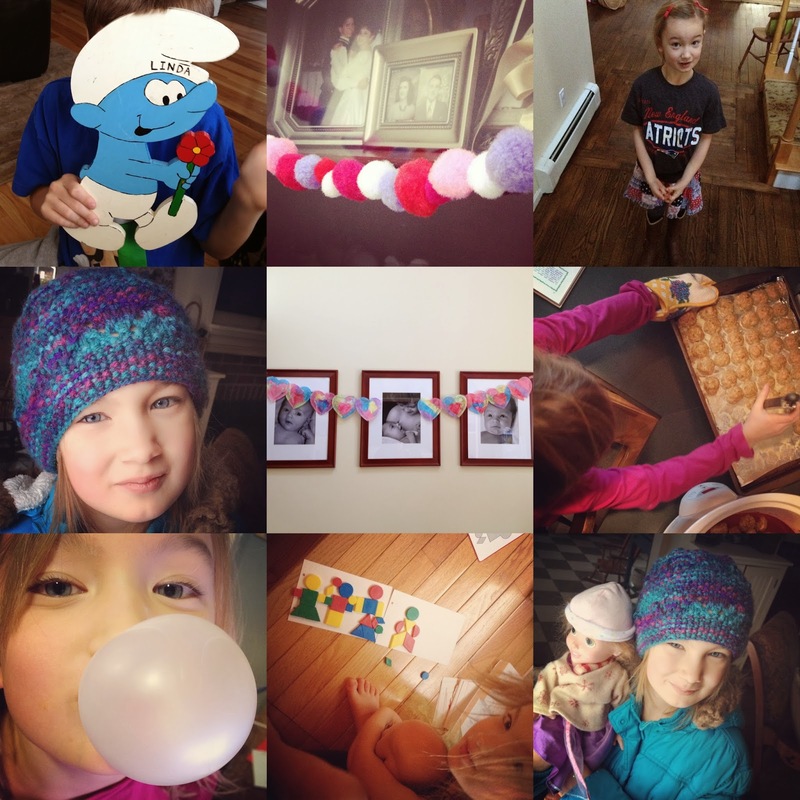 Here are a few of the recent shots from my iPhone. 4. Blue-eyed beauty 5. More Valentine's Garland (watercolor on heart-shaped doilies) 6. Helping with dinner. 7. Little Miss can blow bubbles! 8. Family Portrait 9. Rapunzel wanted to get in the picture. This year I have been teaching CCD to a group of 8th graders. We have been talking a lot about the gifts they have been given and how they should use their unique qualities to help others. For me, this experience of teaching them, has caused me to reflect and examine my own self more closely. What are my gifts? 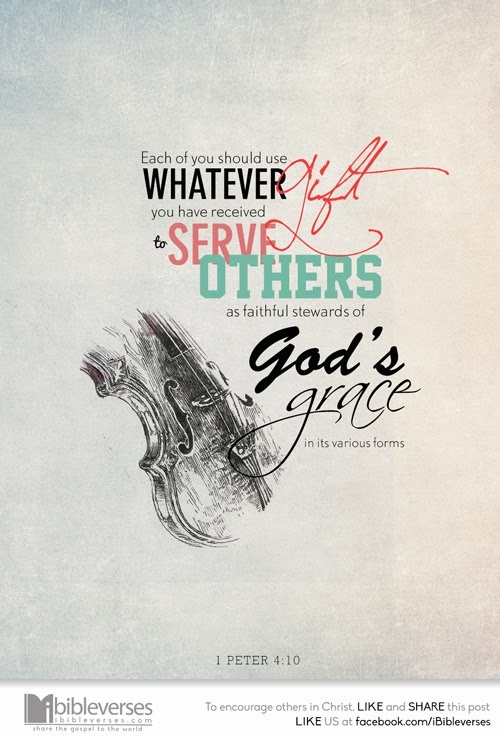 What am I doing to serve others with my gifts? We are all so different and unique, we all have gifts, and we all have others who could benefit from us sharing our special qualities. It reminds me of a poem my friend and co-worker introduced me to as she said good-bye to her fifth grade class at the end of each school year. 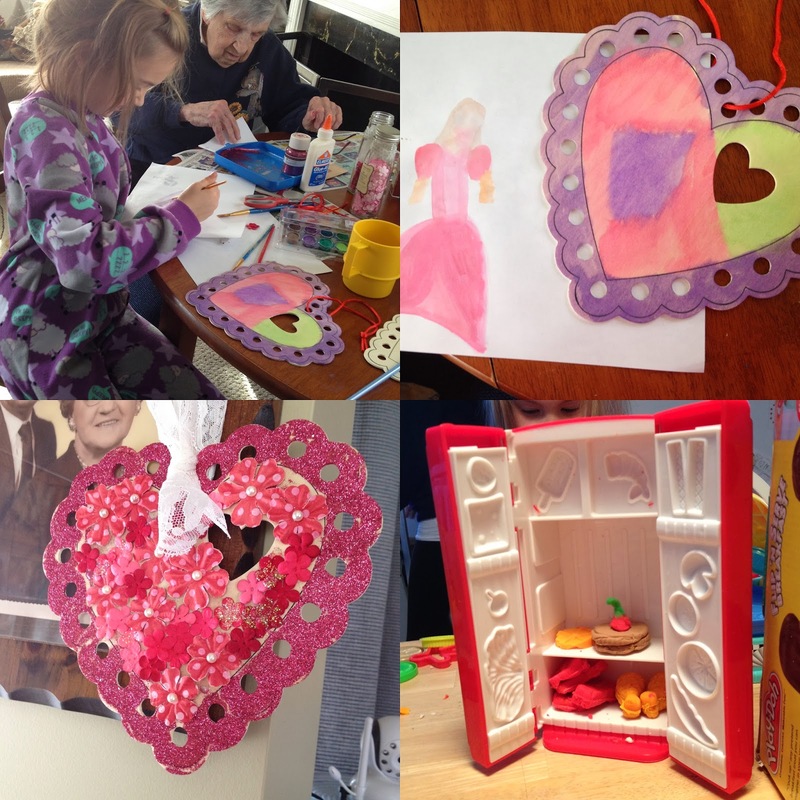 Last week I decided that I would try to do a weekly craft activity with my grandmother. This was our first project. Whether you are a religious person or not, you still have gifts and you can still share them. Look inside yourself, find your gifts and go out into the world and spread the wealth. The world will be a better place because you did. Happy Friday! "Life is a gift, and it offers us the privilege, opportunity, and responsibility to give something back by becoming more."